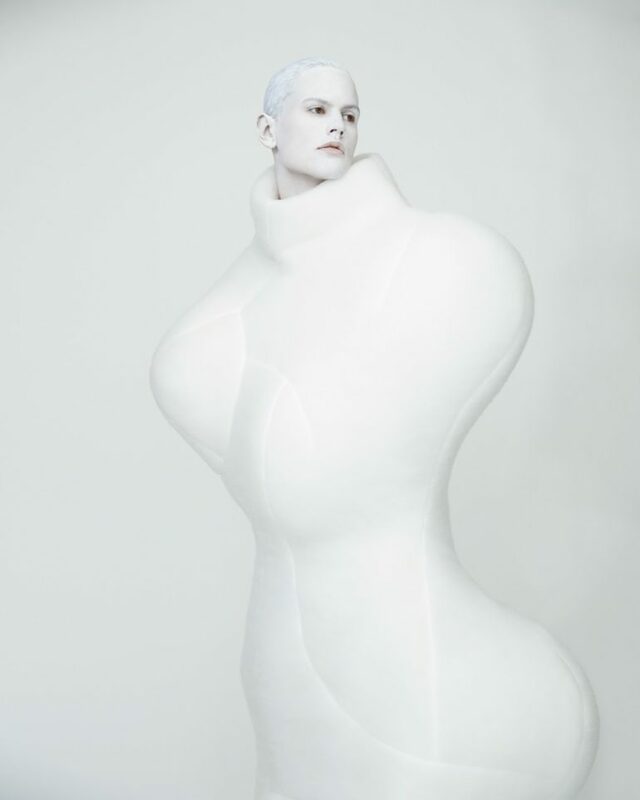 Photographer: Erik Madigan Heck. Model(s): Saskia de Brauw. Source: The New York Times Style Magazine. Makeup: Julien d'Ys. Hair: Julien d’Ys. Saskia de Brauw shows us the “Future of Silhouette” by Erik Madigan Heck for The New York Times Magazine, April 2017. 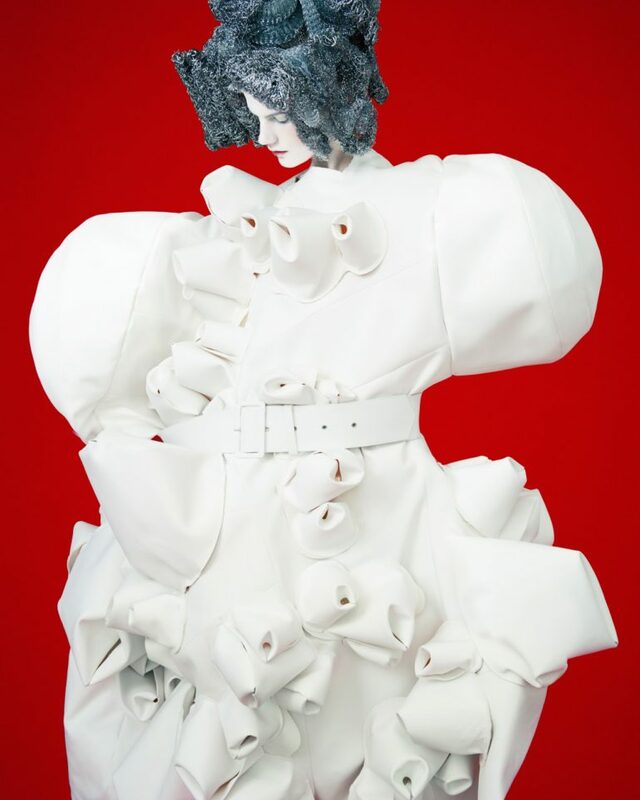 Rei Kawakubo is an Interpreter of Dreams, in this ode to Comme des Garçons. Leanne Shapton captures the female ferocity that lurks behind this great line. 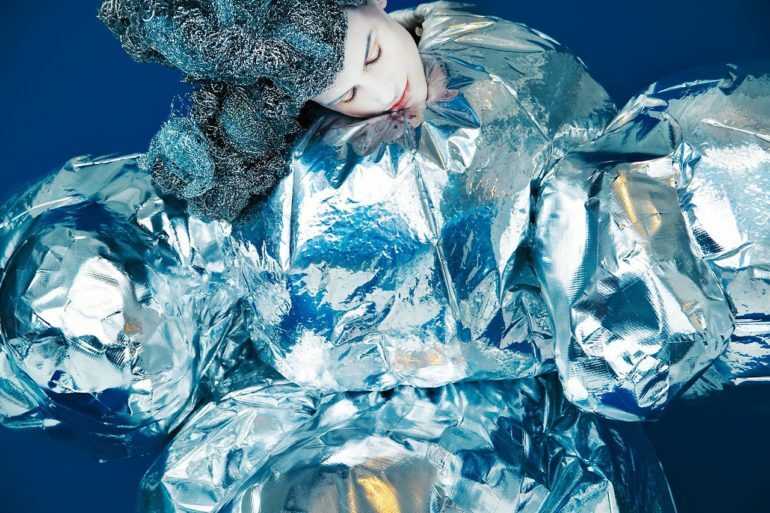 Here, her words mimic Kawakubo’s thoughtful interpretation of fabric. Exploring the idea that the goal of high design isn’t to please an audience, it’s about the coming together of an artistic resolution. And, in that process we find “the through-line is a thoughtful rejection of should and a strong feeling of perhaps.” So delicious is her descriptive prose, I won’t attempt to restate her claim, I’ll just lay it all out there; “Kawakubo’s clothes don’t move from day to evening. They don’t flatter. They don’t slim. They don’t fit perfectly or offer comfort or reassurance. But then, given a beat, they do all of the above. They are not simply clothes: They are ideas. 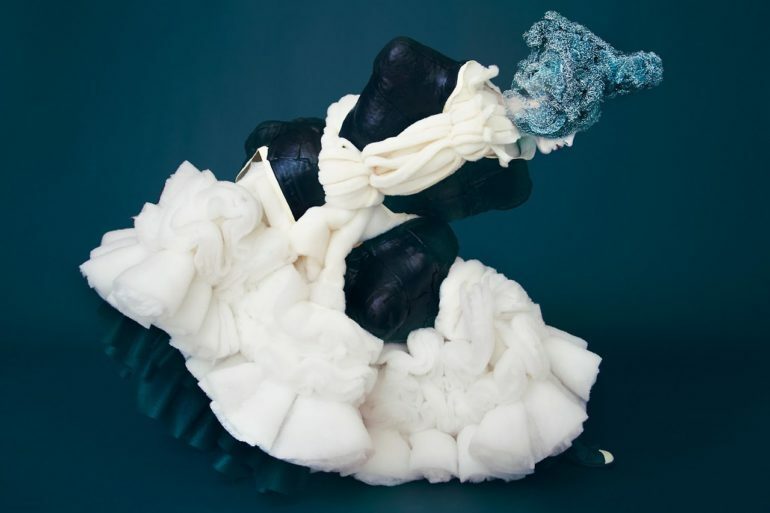 They are feelings.” Rei said it succinctly, her collections begin as “nonverbal, abstract images inside of me.” Art and excess blend but never end, that is the resonant echo of artistic integrity. Think about that. “But then, given a beat, they do all of the above.” To me that says her work doesn’t begin or end, it simply evolves. That is the mark of a true avant-garde artist. So many of our modern designers feel the need to present a piece with rigid boundaries. Declarations that can feel inspired, but lack that strident push towards excellence. 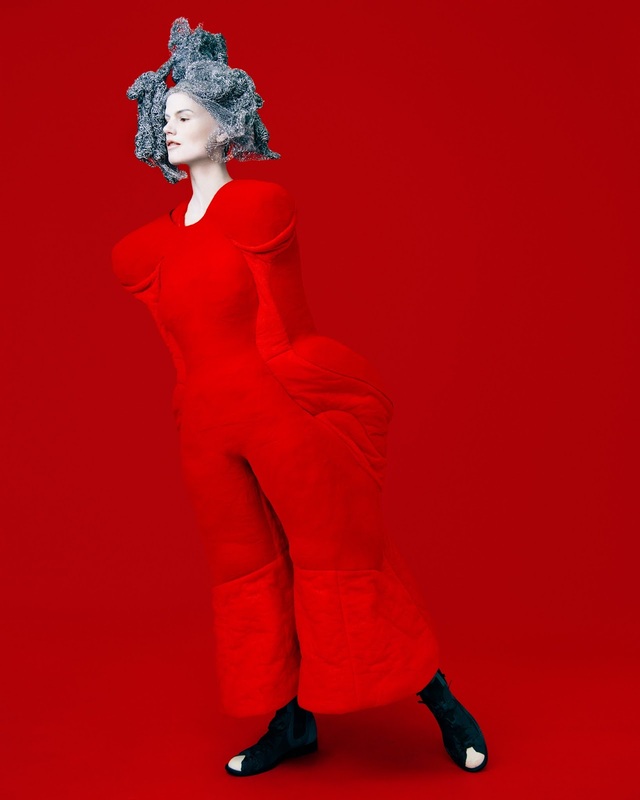 Here, with the work of this exquisite couturier, we get to experience what I refer to as the ongoing evolution of Comme des Garçons. With each revolution of the wheel we are taken further as The high craft of haute couture is captured. And that’s the secret of her salvation. The synergistic tones are met within the bounds of high fashion artistry. Shapton points out something important, these clothes don’t move from day to evening. A truth that’s obvious with most haute couture. 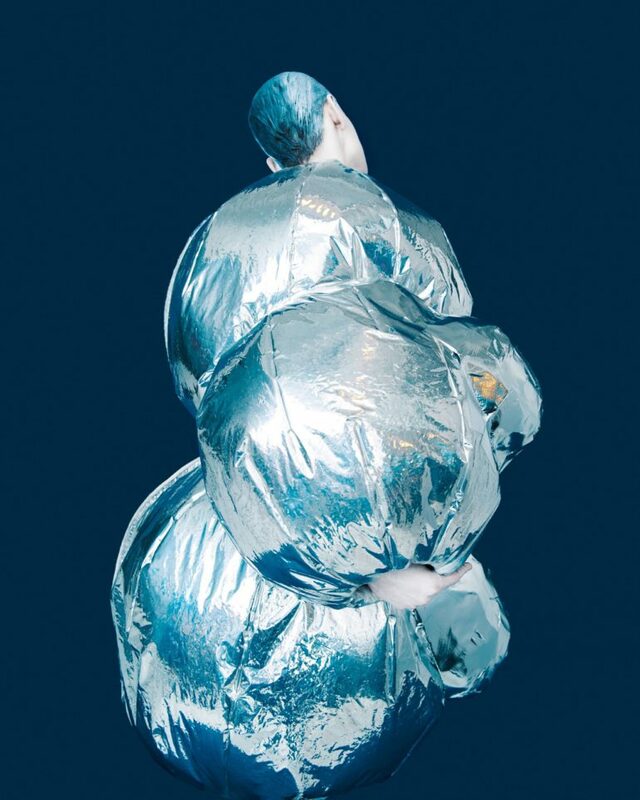 However, there is no other line that breaks through the costumed characterizations like Comme des Garçons. The body proper becomes less a statue for presentation, and more a living, breathing faction of high fashion. Her works are viewed as a Live Art Installation. Not moving down a runway for the population to consume, rather, they are meant to insight/inspire. Those are two powerful conceptual notions. Insight brings to mind the idea of action. It’s not just a thought dropped into a vacuous center, it’s a idea ready for transformation. Many an artist has the ability to inspire, however, it’s those rare few who can offer to Inspire with Fire. That may sound too hot for some, but I like my inspiration burning with a kind of fire that won’t be tamed. Perusing each piece I am instantly transported to another time and place. Julien d’Ys rides the Rei-Way invoking the art of the evolved. Here we have the incomparable Saskia. Live art captured in a click, each shot is like a still from a film. Beyond the idea of merely acting, she brings her true thespian skills to this story. I let my eyes peruse each piece like a picture in a museum. There are moments in history when art and fashion collide. 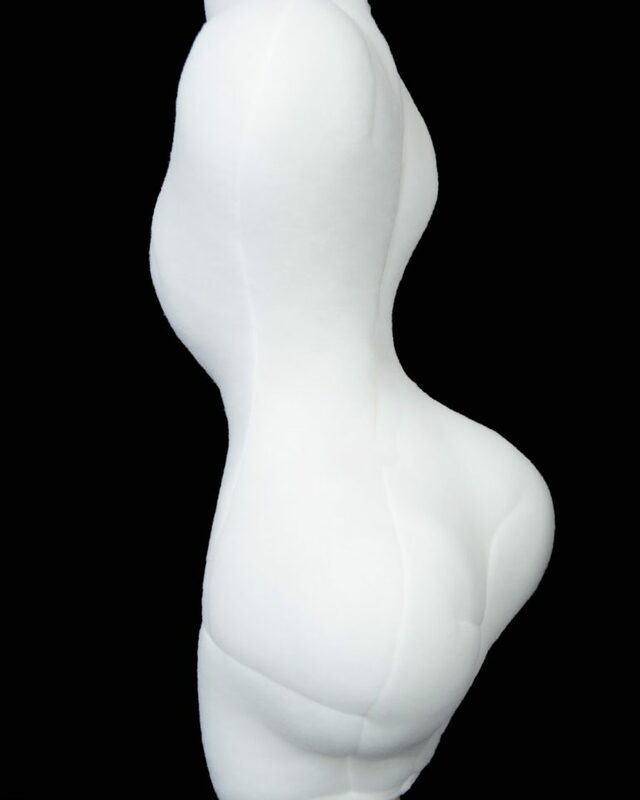 Bulbous beauty and poetic transfers have us begging for more, from the bend in her body to the overt curves created by the designer. Each pass gives us an altered view as my eyes adjust to this new normal. 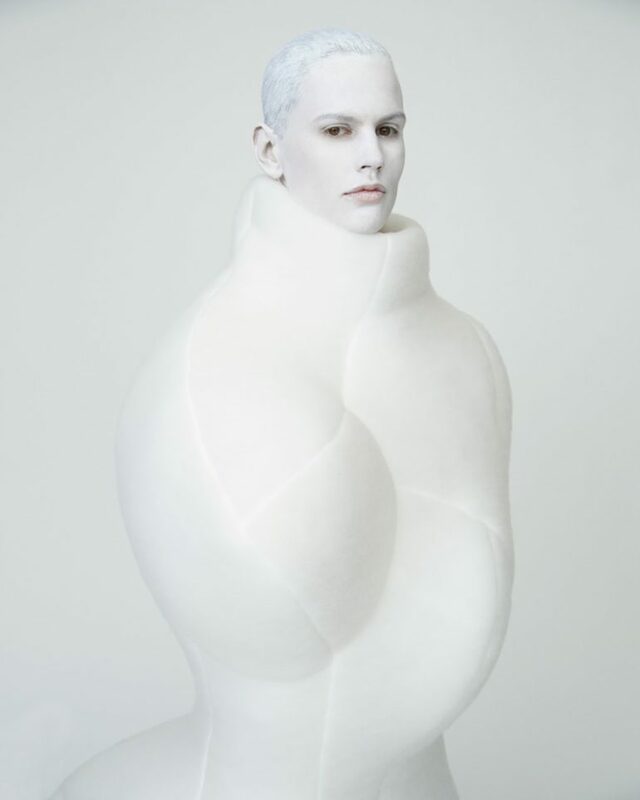 I am wholly captivated by these clothes Kawakubo calls “nonfabrics”. Works that are “meticulously and gorgeously constructed; their rough-hewed, blunted exteriors encased in thoughtful, ergonomic scaffolding, buttresses of padded wiring, canvas boning, and industrial-strength crinolines.” So exquisite is this descriptive pass, I am but a puppet in awe of Leanne’s words. We are made to feel both closed in and sheltered, as we are at once open and free. Our brain gives birth to a new kind of truth. An artful revelation of sorts. Standing at the edge of something unique, we understand what we yearn for is the truth that we seek. 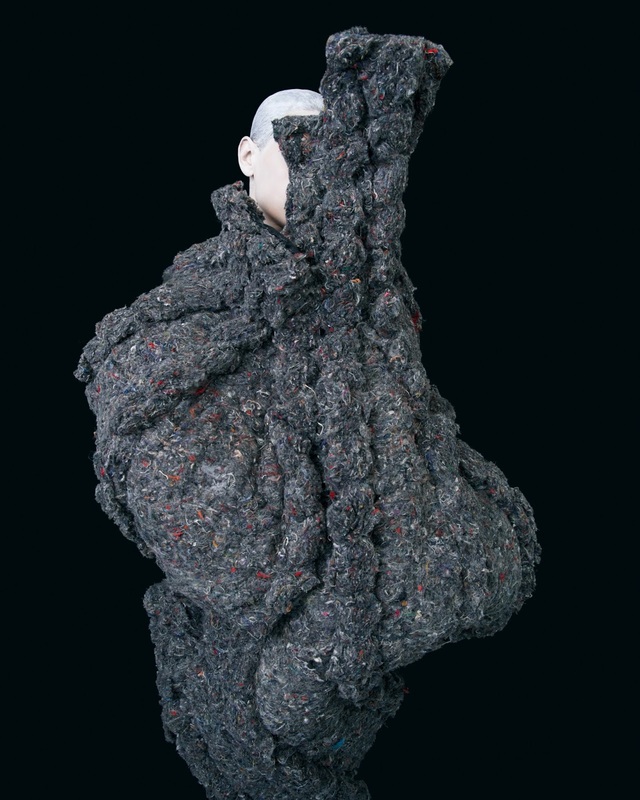 I’ve always seen Comme des Garçons as a birthing chamber of truth. Fabrics are echoed in the outbreak of evolution. Beauty bursts onto the scene as angelic artistry adjusts allowing the aching to be seen. Saskia wears a wig that is nothing less than a full work of modern architecture. Julien bathes her in white powder leaving skin and hair all aglow, as a full, white face echoes her otherworldly features. The theatre of beauty commences as makeup is made as an extension of self. Kawakubo once stated her collections begin as “nonverbal, abstract images inside of me.” Fabrics conform as they constrict forging forth to meet this exquisite phenomenon. Somewhere in the depths of her imagination there lives a world of wonder.